Prolific, award-winning product pioneer credited with development and management of groundbreaking technology programs, products, and projects. Personal mission to impact evolution of computers and multimedia and integrate next-generation technology with real-world systems. 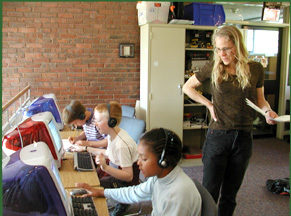 Employers include, Dartmouth, Brandeis, M.I.T, Houghton-Mifflin, and Apple Computer. M.I.T. Master of Science Degree in Visual Studies. B.A. Cornell. Expert team builder and communicator. Skilled at achieving project buy-in. Record of delivering projects on time, on budget. Passion for creating products at the cutting edge of new technologies, processes, and ideas. Experience working closely with customers to integrate computer applications into work-flow. Known for taking small projects and transforming them into exciting, innovative initiatives.